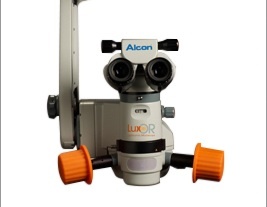 The LuxOR™ expands Alcon’s ophthalmic surgical portfolio to provide a comprehensive solution for ophthalmic procedures. One of the key functions of a microscope is to provide the surgeon excellent visualization. Visualization is greatly facilitated by red reflex, which is achieved when coaxial light is reflected off the retina. 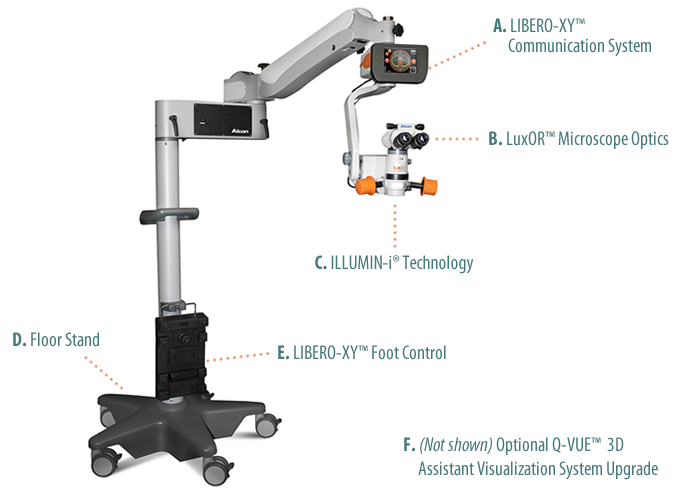 Alcon’s LuxOR™ Surgical Ophthalmic Microscope has a unique illumination technology that provides excellent visualization during all stages of cataract surgery. It features patented illumin-i technology which maintains a consistent and stable red reflex regardless of pupil size, centration, lens tilt or patient eye movement. 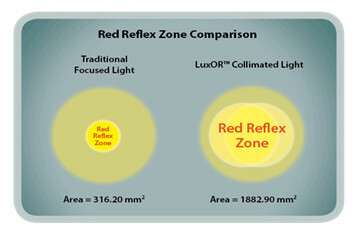 The red reflex zone of the LuxOR™ Microscope is 6x larger than a traditional microscope, shown in the diagram below1. 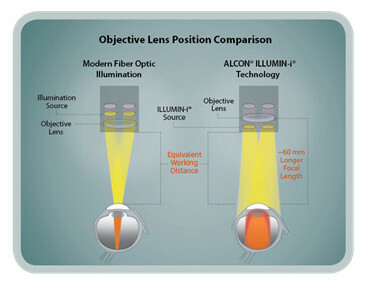 With proprietary positioning of the light source below the objective lens, the LuxOR™ provides exceptional detail recognition and contrast as well as greater depth of focus: approximately 60mm longer focal length, regardless of the working distance, compared to a traditional microscope1 as shown below.